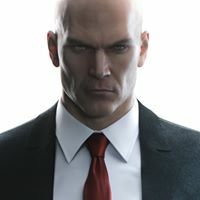 The Hitman gaming franchise has seemed ripe for the basis for a TV series for a long time, and Hulu have gambled on the lethal assassin Agent 47 proving as compelling in dramatic incarnation as he is in virtual form. With two movies based on the franchise received poorly by critics, the longer form of the TV series will give the character more scope to grow and correct previous cinematic mistakes. The character certainly has crossover appeal, having appeared as the star of online casino slot games and of novels. Agent 47 is an assassin available for hire, and his unerring efficiency makes him desirable for all sorts of powerful people. As a result of the high stakes, he has to deal with unseemly individuals in diverse environments, so it is not surprising that Hulu have swooped in to give the character a deserved TV series. Hulu are keeping most of their cards close to their chest for now, but Derek Kolstad, the creator and writer of John Wick, is set to bring his experience to proceedings by developing the pilot. A movie adaptation of the franchise was released in 2007 to negative reception, but the strength of the character encouraged the development of a second movie. Hitman: Agent 47 hit cinemas in 2015, with Rupert Friend cast in the leading role opposite the likes of Hannah Ware and Zachary Quinto. The movie was praised for its action sequences, which will have no doubt pleased fans of the game. However, the film was criticized for a lack of character development and an absence of depth to the storyline. It may appear that the TV series will be working with unfavorable odds of success based on the relative disappointment of the movies, but the right hands guiding the project will be able to maintain the thrilling action akin to the video game while having more time and space to add depth and clarity. The character has all the credentials to provide a compelling lead. Beyond the prolonged success of the video game franchise, Agent 47's unique set of skills make him an interesting subject as shown on this Hitman slot review which champions the stunning visuals in the Hitman slot game. The intensity of the gameplay is noted in this video slot, showing that the character's strength is when the player or viewer is immersed in affairs with Agent 47 - for example in the 'Contract' bonus round bettors need to pick up the right weapon to kill one of five targets and will win up to 270,000 coins if they can eliminate the right target. It is thanks to this immersive quality that the video game has found so much success, and the TV show will look to use the same idea. Similarly, Agent 47 has translated successfully into a different medium as the main character in two novels. Hitman: Enemy Within launched with the tagline of "now it's more than a game", with the action of the video games still present but given more depth. The TV show will look to build on the success of the video games, novels and casino games, and to learn from the mistakes of the movies. If delivered correctly, Agent 47 could be captivating gamers, gamblers and viewers alike for years to come.